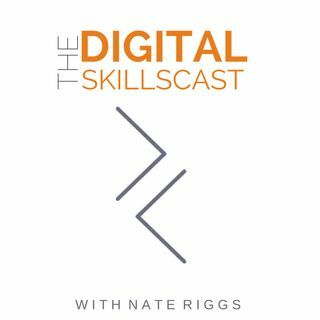 Welcome to The Digital Skillcast -- a weekly podcast that covers trends in marketing, sales, technology and higher education so that faculty and administrators can position their institutions to close the digital skills gap. Each week we'll talk with leaders in higher education and the digital marketing and sales industry to get their insights, opinions and ideas on how skills based training is impacting all varieties of students in colleges and universities. This podcast is produced and ... See More hosted by Nate Riggs, Founder & CEO of NR Media Group located in Columbus, OH.